When people ask me about "how exciting" being a pianist is, I tend to be a jerk. I reply with stupid things, the mere accessories of the trade: the monotony of hotel rooms and airport lounges; the Sisyphean accumulation of frequent flyer miles; the little voice inside that whispers in your brain that you could always practice more, more, more. Sometimes I'm a jerk for virtuous reasons: someone has just shared with me how boring their job is, how much they hate it, and they ask me, with a weird light in their eyes, what it's like being a pianist. This happens on dates. And I try to reasonably downplay the pleasures of a musical career, with the hope that I don't sound false. Probably other times I'm a jerk for jerk's sake, because I'm impatient, or because I'm lazy. Maybe I'm in one of those moods where I imagine that that which I truly love cannot be shared. Anyway--do people really want to hear? I played them several times; wrote in fingerings (soon to be corrected, changed); tried to connect my brain more definitely to the tips of my fingers; contemplated the shaping and timing of the turn; and then--shamelessly--skipped to the coda. I am only human! I admit sometimes I just want to skip to the "good parts." As much as I wish I could, I do not always enjoy every piece equally at every moment; I have weaknesses for certain moments and I build my conceptions around them, toward them. But, I tell myself, Beethoven must have built his conception towards this coda too. How could he not? I often enjoy thinking about the pride composers must have felt at having written certain passages; even they were pleased, even their impossible standards were met. As I played the coda, I felt guilty. Not for skipping to it; but because I needed to accomplish "something useful" before I gave myself this searing pleasure. In a flash, I recalled my former teacher, Gyorgy Sebok, impeccably dressed--having parked, as always, illegally in the loading zone--walking into a lesson I had with him, saying that he had just vacuumed the house, and that it made him "feel useful." He smiled his European, utterly cultured smile, which commented ironically all at once on the vacuum, on himself vacuuming, and on the very idea of usefulness. The incomparable guru finding himself useless, sucking up dust. So, I tore myself away from the piano and I hauled the Hoover out of the closet and cursed its non-retractable cord and cursed the astonishingly outdated electrical systems of my building, and cursed the red carpet I put in the piano room, which seems to put an exclamation point on every morsel of dirt it collects.... and thus cursing, I did a serviceable job. With the unpleasant Hoover smell lingering in my nostrils, making me want to cough, I removed my coat and sat down at the piano, calmed by the carpet's clarity. Now I took on the coda in earnest. 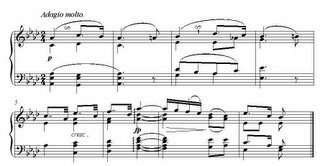 This slow movement is a difficult, painstaking narrative, in that we have to follow (Beethoven unravels) the same long thread twice: he makes us re-experience the same sequence of events with only a small modification the second go-around. It tests our patience, or at least it tests mine. And by this point most of the movement is over. So you had better like A and B. I'm fond of A and B (though I prefer to refer to them by their "real names"), but I have to admit they're "not enough" for me. 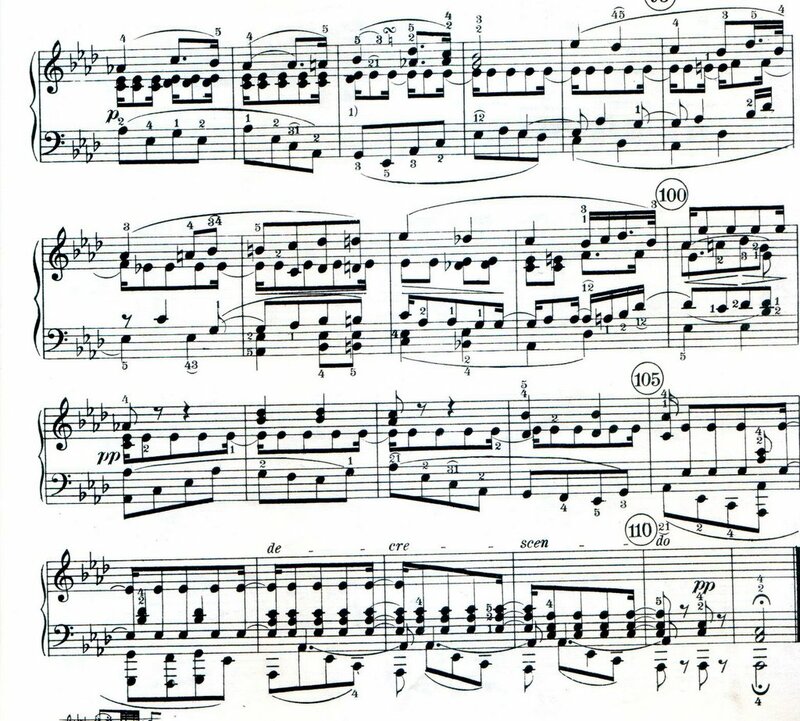 As beautiful as they are, they are kind of naked; they are sparely scored; Beethoven is testing the limits of how few notes he can get away with, how little material he can use to fill out a large space. This is not a weakness! I remind myself as I play and try to find lots to love in A and B, but even as I am adoring these materials I heed the craving they create. What's missing? When will I not feel I am filling in the spaces left by the composer? To be fair, I think A and B are not "missing anything;" they are trying to express something-like-this; they are a symbol of spareness; their existence defines a void which must be filled. When I had to grade students' papers at Indiana University, I would anticipate with horror the concluding paragraphs, which would inevitably begin "In conclusion," or "Summing up," or etc. It's true, the student had usually made all the points he/she had to make by that point, and there was no escape except through redundancy. Some sense of finality was necessary; how else could the paper be over? And don't get me wrong; I was as glad as the student that the paper was over. But how do you say again what has been said, while not just saying it again? I would ponder this imponderable while gleefully crossing out their final paragraphs: "said that already," I would helpfully inscribe. In this pattern, the third time's the charm. Though the first two segments (short, short) establish the crucial "grammar" of the theme--a dialectical rhythm--the third segment (long) provides a paradox: it simultaneously functions as a symmetrical, rounding idea (being exactly as long as the preceding two segments combined), as conforming filler, and on the other hand functions as a force for the unexpected and new: it sends the whole musical paragraph in search of some meaning or goal. Let's say, then, that the very structure of A--its one-two-three punch, which we have now analyzed so heartlessly-- has some serious semantic baggage. I might even say it has a personality, a way-of-being. --the intensities of this last A are within, quite literally and music-theoretically: in the play of the inner voices. Whatever A is looking for, it finds in a different space, in a different solution; it searches, now, inside itself. (Is A a person? And how has A found this solution?) And this is it, my big why, the transformation of meaning that the coda does to me, the place where a streak of amazement clouds my brain's connection to my hands and I find fulfillment in my ears, hanging on to those dissonances, my body buzzing ... and knowing that "something has changed." I would not be happy calling it by any music-theoretical name but I can trace how the music-theoretical names wind themselves into this changed moment. 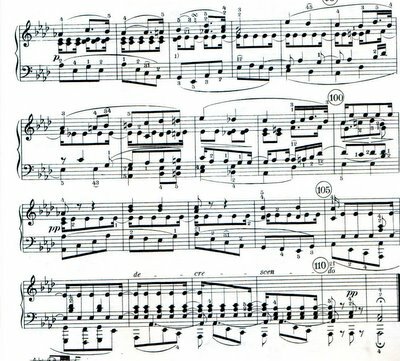 Without ego, Beethoven adores his own moment; he winds us back up to E-flat in the top voice, and repeats the falling, fantastic gesture; now the structure and therefore the balance of power in A has changed: a struggle against the structure of A transforms itself into a prolonged farewell. And because he has now injected the falling five-line (E-flat down to A-flat) with such meaning, he then is able to repeat it, and call up the meaning without the meaning; we keep hearing those descending notes as the movement falls away, and though they are relatively plain, they are full: they symbolize the alteration we have just witnessed. I have allowed myself to get carried away from the haven of identifiable notes to the scary world of interpretation and meaning, to suggest even that the movement interprets itself. Do you think, on a date, over a glass of white wine, in a noisy New York restaurant, I could manage to get this across? Because sometimes I think I need to go at least this deep to express why piano playing makes me happy. I really don't want to be a jerk when people ask me about being a pianist, but sometimes I am anyway. Wait. I said that already. Can I ask, did Sebok advocate practicing with mirrors? It seems to be useful and I don't mean in just a technical sense. i would love to hear about it...but then i love the piano too. ...had the great, good fortune to hear you & Randall Scarlata this afternoon at F.A.E.S. in Bethesda, MD. The performance of "Die Schœne Mullerin" was magnificent on several levels...the emotional content was thoroughly drained, the piano/voice collaboration was incredibly sensitive, Randall's vocal quality is perfect for Schubert lieder. I knew I was in for a real treat when you chose to take "Das Wandern" at a reasonable tempo (rather than the show-off breakneck tempo many singers choose). The best live lieder performance I've heard in a long, long time. I swear we were separated at birth. The "jerk" answers, the skipping to "the good parts," an abhorrence of awful concluding paragraphs. I get you, I get you. Great post, J.
PS. I agree with your other readers that a list of your upcoming performances would be appreciated. Any consideration to doing what Beethoven did, i.e. be spare, and speak only the necessary notes? Not a criticism: your blog always offers insight. But there is charm, too, in open chord progressions. As a student of music, I was simply trying to understand Coda and ended up reading your entire passage. The Hoover vacuum-red carpet part was priceless. If you want to connect with another human being on your love of music in a noisy NY restaurant, you have to be looking across the table at someone who "repeats yourself" and yet still can surprise you with a Coda of their own. And you will make beautiful music together. 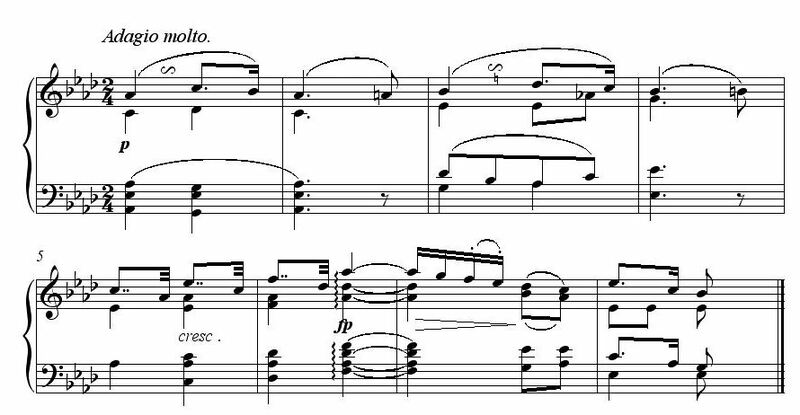 Forgive my amateurish question: What piece is this coda from? I've got to hear it now that I've read this.